Join Our 28 Day Sugar Free Weight Loss Challenge! Our first 28 Day Sugar Free Weight Loss Challenge is starting next week and I wanted to give everyone an opportunity to join us! We are challenging YOU to throw out all those carbs and sugar for 28 days so you can see for yourself how great you feel and much weight you lose without all that junk. 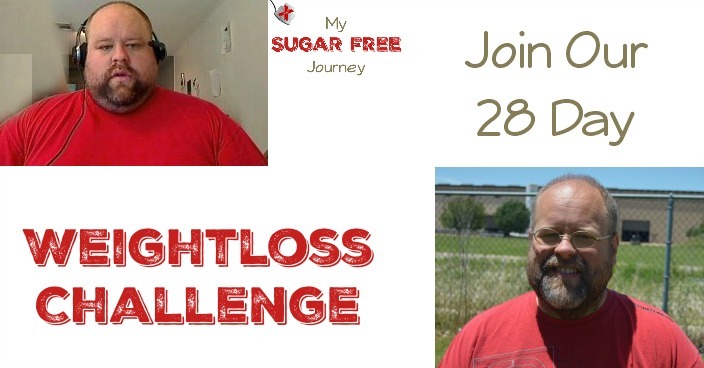 To join us, all you have to do is join the 28 Day Sugar Free Weight Loss FaceBook Group. After you join you are going to want to record your starting weight and waist circumference as well as take a few photos of your body. None of these will ever see the light of day unless you chose to share them but you will want to see where you started from once you go through the programs. 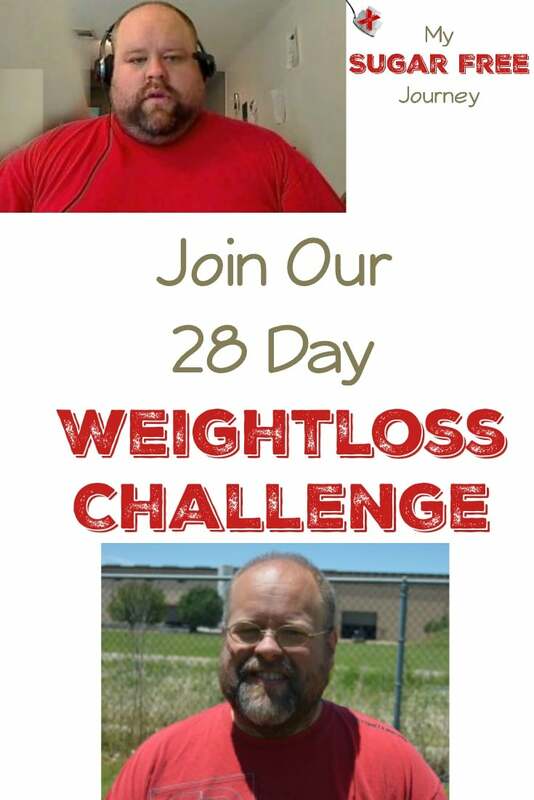 The challenge will start next Monday May 23rd and run through June 12th. The rules of the challenge are simple, just commit to not eating sugar or simple carbs like potatoes, pasta, grains, or bread for 28 days and see what happens. I know you will be as happy with the results as I have been as I have lost over 130 lbs. Those of you that follow me on FaceBook know that every night I do a live FaceBook video going over different health related topics. During the challenge, we will have a special series of videos where I will walk through the different medical information detailing why eating low carb and high fat is a healthy way to eat and why it results in such rapid weight loss. As a special help to get you ready to tackle this challenge, I have put together a 28 day meal plan that will give you 28 different meal ideas as well as a shopping list and prep instructions. To receive it, just sign up for my daily email by clicking here and I’ll send it out on the Wednesday before each week’s plan. Again, join the Facebook group to take the challenge with us and I hope to see you there! NEXT POST Next post: 5/18 Weightloss Wednesday: The 28 Day Challenge Starts Monday!